Published on May 26, 2009 in figma, Photo Box and Updates. 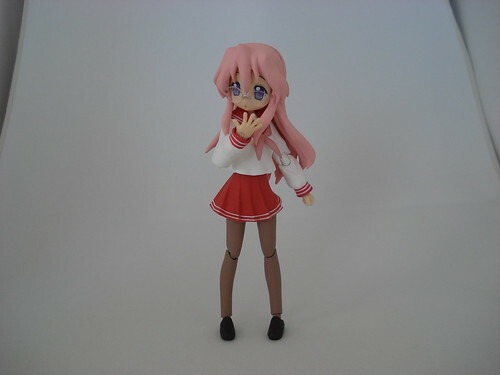 1 Comment Tags: face_switching, figma, figma:combatwaitress_mikuru, figma:culturefes_tsuruya, figma:kagami, figma:kagami_cosplay, figma:konata, lucky star, suzumiya haruhi no yuuutsu, vocaloid. It seems that during my hiatus I seem to have hit 10,000 page views. I hope you all don’t think I’m ignoring you by not posting more reviews even though most of you KNOW that I’ve been getting more figures in the past few months. Just a lot of stupid stuff has been happening in my life, and I’m taking a bit of time to soak it all in. In figma news, the Culture Festival Tsuruya and Combat Waitress Mikuru figmas are slated to release this friday, and I am putting in a preorder for them tonight. I have reviews queue’d up for a number of figmas, that if you follow my flickr, you’d know which ones I mean. One is displayed at the top of this post ^^ I promise to get to them very soon, so please be patient with me! Thank you, everyone! Published on March 4, 2009 in figma, Photo Box and Reviews. 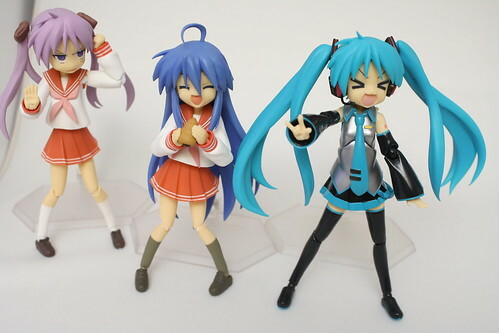 0 Comments Tags: figma, figma:kagami, figma:konata, figma:miyuki, figma:tsukasa, lucky star. Published on October 23, 2008 in figma and Reviews. 3 Comments Tags: figma, figma:itsuki, figma:konata, lucky star, suzumiya haruhi no yuuutsu. 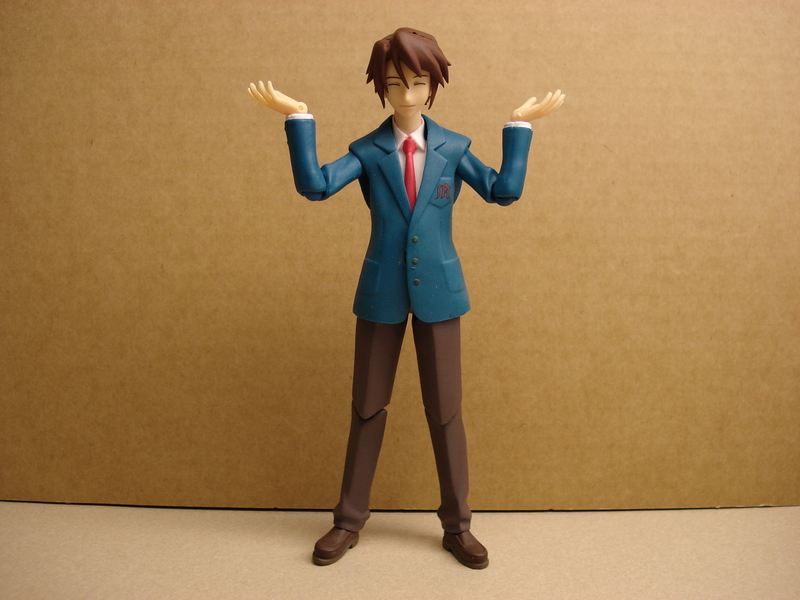 Today’s figma review is Koizumi Itsuki from Suzumiya Haruhi no Yuuutsu… or is it? The Yuuichi-kun's figma Universe archives for the figmakonata tag.